What better way to welcome spring than with Sayon’s pulsating classes as he returns to the shores of the Kennebec River at Resounding Rhythms in Bath, Maine? 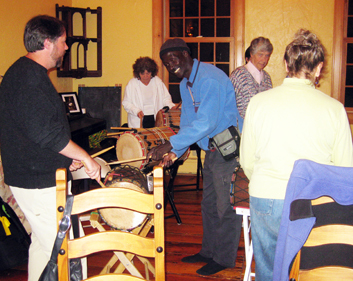 Get the scoop at Resounding Rhythms. As always this will be an energetic workshop. 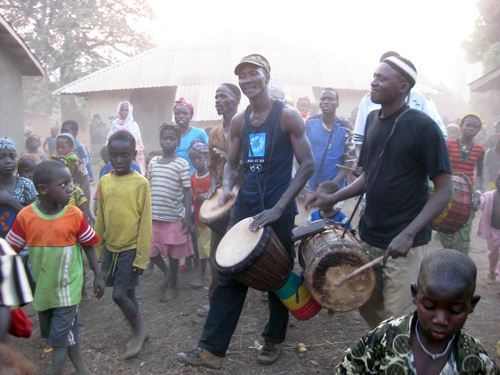 Everyone will be accommodated at their individual level as we learn to play the djembe and dunun parts of two traditional songs from Sayon’s village in the heart of Guinea.